The proposal would allow the state to restore $18.9 million in Education Cost Sharing funding that was cut by the administration in December and also close the current budget deficit of $11.9 million as estimated by the Office of Fiscal Analysis. 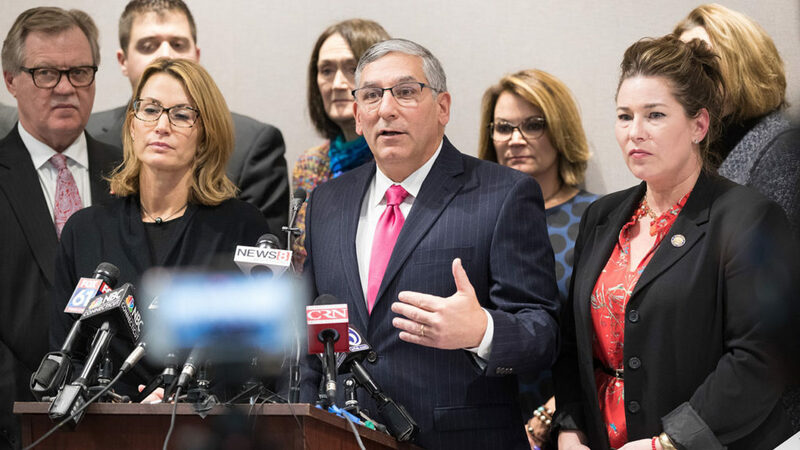 Senate and House Republicans today unveiled a plan to reinstate nearly $20 million in education funding that was cut midyear to cities and towns throughout the state. The proposal would also eliminate the projected fiscal year 2017 budget deficit. “The longer we wait to address a budget problem the harder it becomes. We hope these proposed changes to restore funding and close the deficit will be adopted swiftly by the legislature in a bipartisan effort to fulfill the state’s commitments to our towns, protect education funding, and eliminate the remaining state deficit,” said Senate Republican President Pro Tempore Len Fasano (R-North Haven). “The state must keep the promises it has made to towns, cities and taxpayers. Towns deserve to know what they can count on from the state so they can plan for their own budgets and give local taxpayers predictability. This proposal would restore vital funding to municipalities for our children’s education needs and ensure that unpredictable state cuts are not placed on the backs of local taxpayers,” said Representative Melissa Ziobron (R-East Haddam), Ranking Member of the Appropriations Committee. “Restoring funding that municipalities are counting on is something lawmakers can and should accomplish together,” said House Republican Leader Themis Klarides (R-Derby). This seems too good to be true? How are they proposing to pay for this?